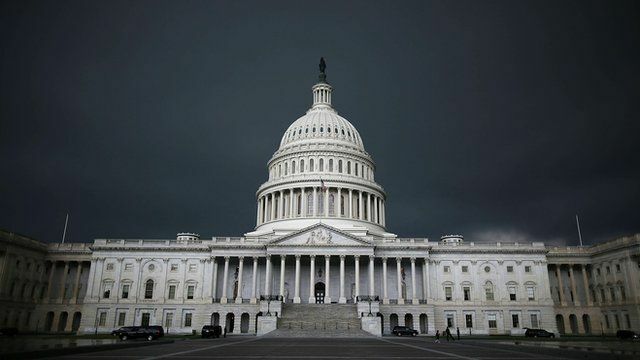 What if there's no debt ceiling deal? Jump to media player If US politicians cannot agree to raise the borrowing limit by 17 October, the US could default on its debt by the end of the month. 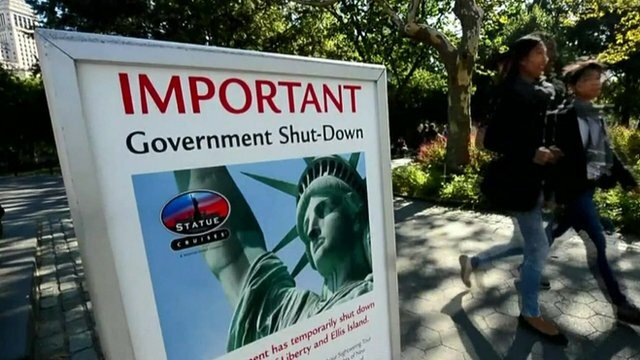 World Bank warning over US shutdown Jump to media player The World Bank is warning of grave consequences for the global economy if politicians in the United States fail to increase the government's borrowing limit by Thursday's deadline. 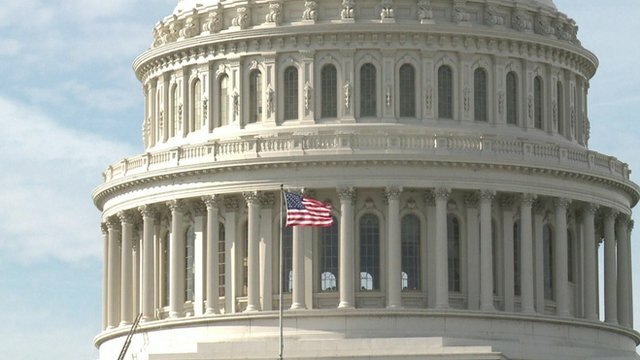 Optimism after US budget talks Jump to media player Investors are more optimistic following talks aimed at ending the US budget deadlock. 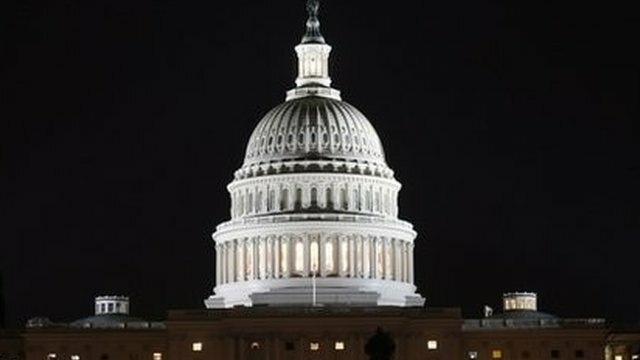 Republican US debt ceiling offer Jump to media player US Republicans have offered President Obama a short-term debt ceiling increase in exchange for negotiations about how to end a government shutdown. Impact of US shutdown on Asia Jump to media player Geoffrey Lunt from the banking group HSBC access the likely impact of the US government shutdown on Asian economies. 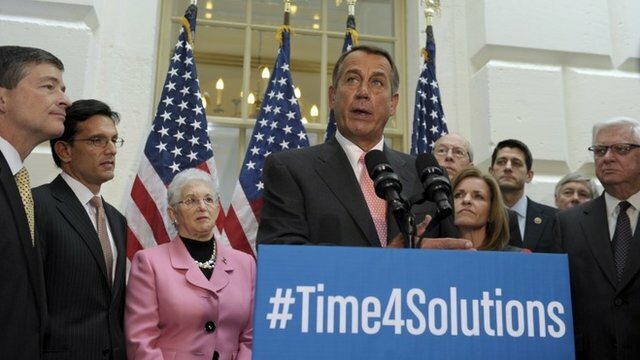 In 90 seconds: What if there's no debt ceiling deal? If US politicians cannot agree to raise the borrowing limit by 17 October, the US could default on its debt by the end of the month. The BBC explains what would happen in the US and around the world.